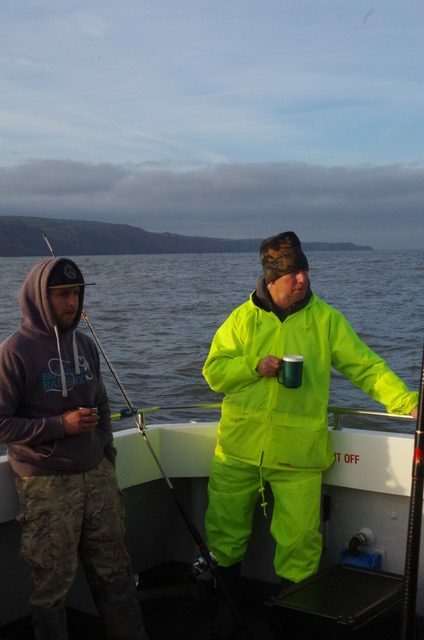 Holsworthy Sea Anglers take a trip on Bluefin! 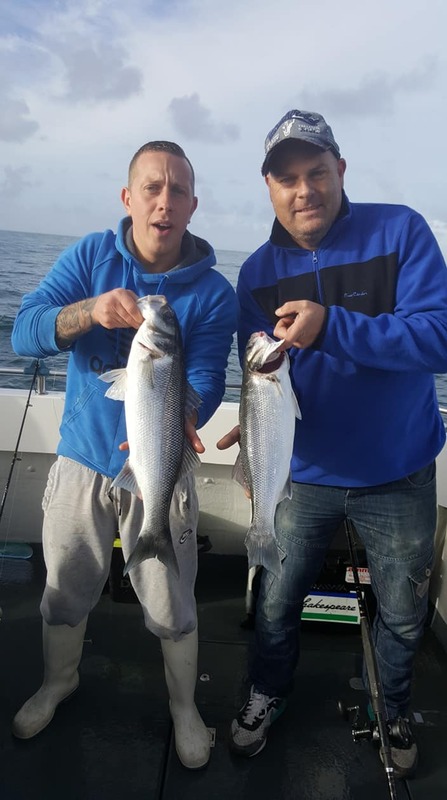 Holsworthy Sea Anglers trip aboard Bluefin was as usual full of banter and despite there only being 3 of us members attending plenty of fish were caught. 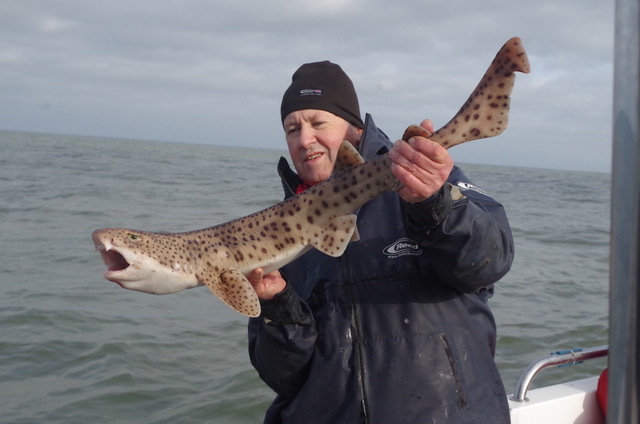 Around 35 Spurdog boated today, several Huss and sadly not a single Dogfish. 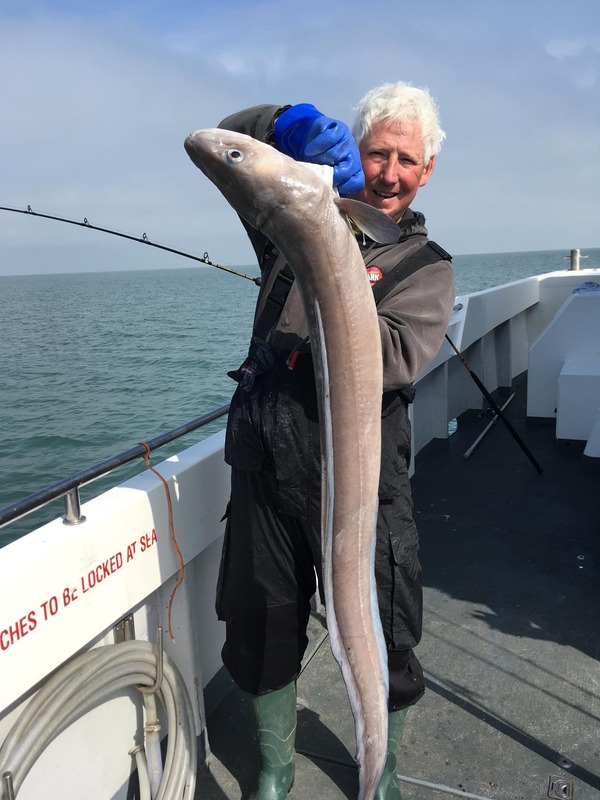 Paul Cozens proved he can still fish with bait but lacked the ability to keep his lead, rig and bait in his own part of the sea. 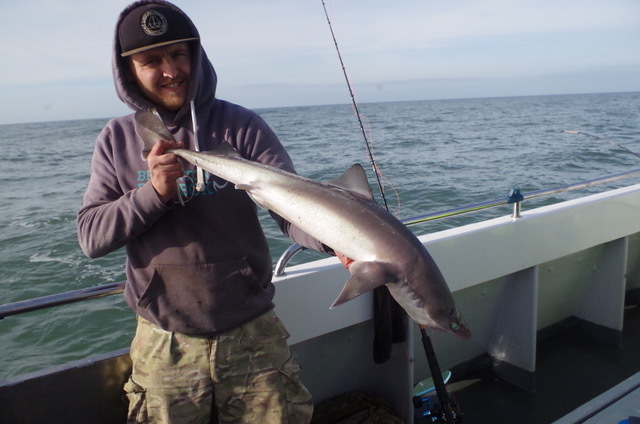 He did have a nice Huss and plenty of Spurs, Chris Hodgson started late due to spending a lot of time untangling Paul from his line, but managed spurs to 16lb and Huss. 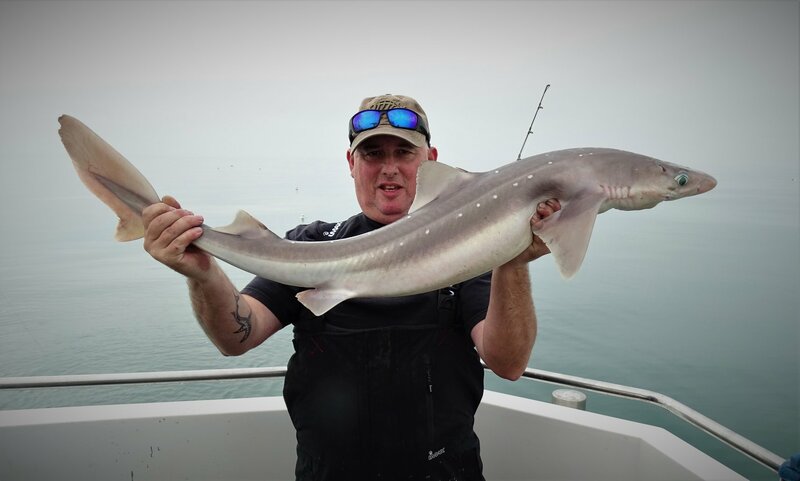 I managed to sneak the biggest Spurdog out at 16lb 8oz, I have one hand on the Trophy now till Paul books more trips to knock me off!. 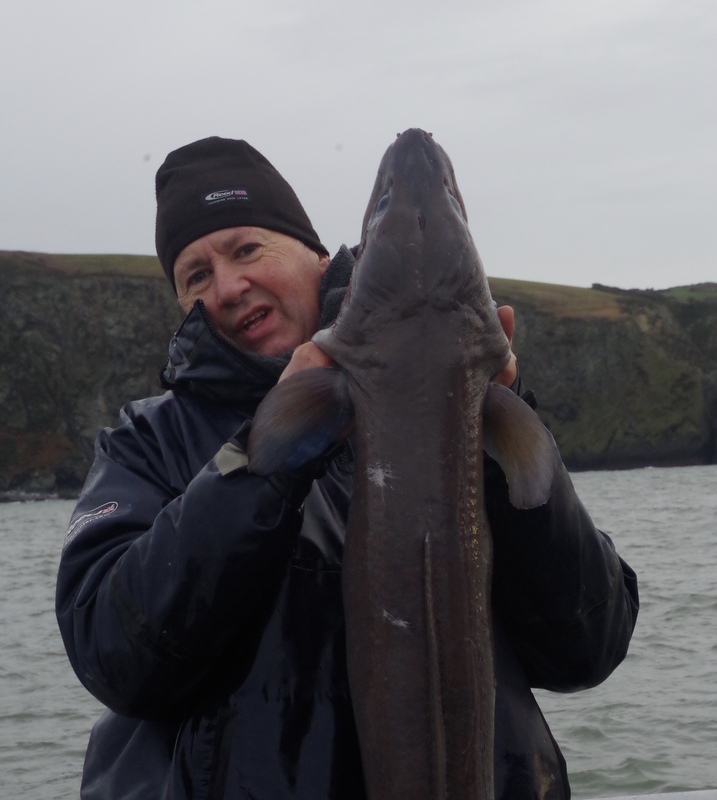 As usual John Barbeary delivered a cracking days fishing sacrificing yet another T bar to Davey Jones Locker. 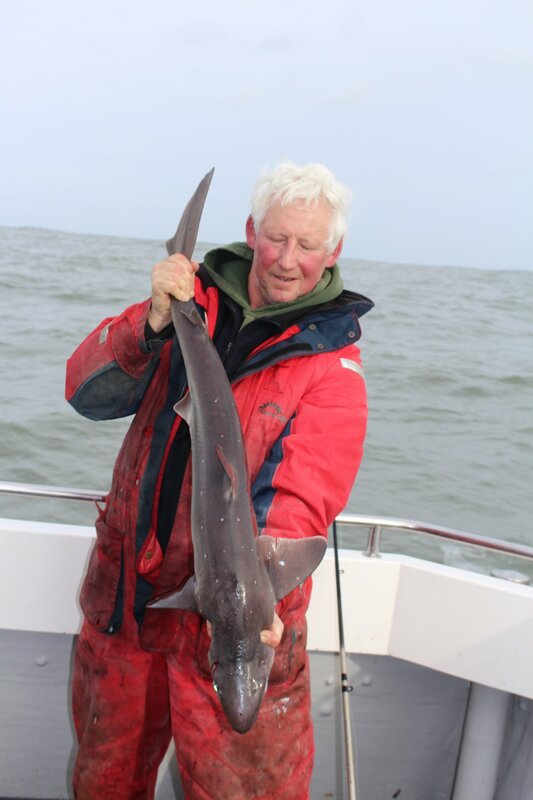 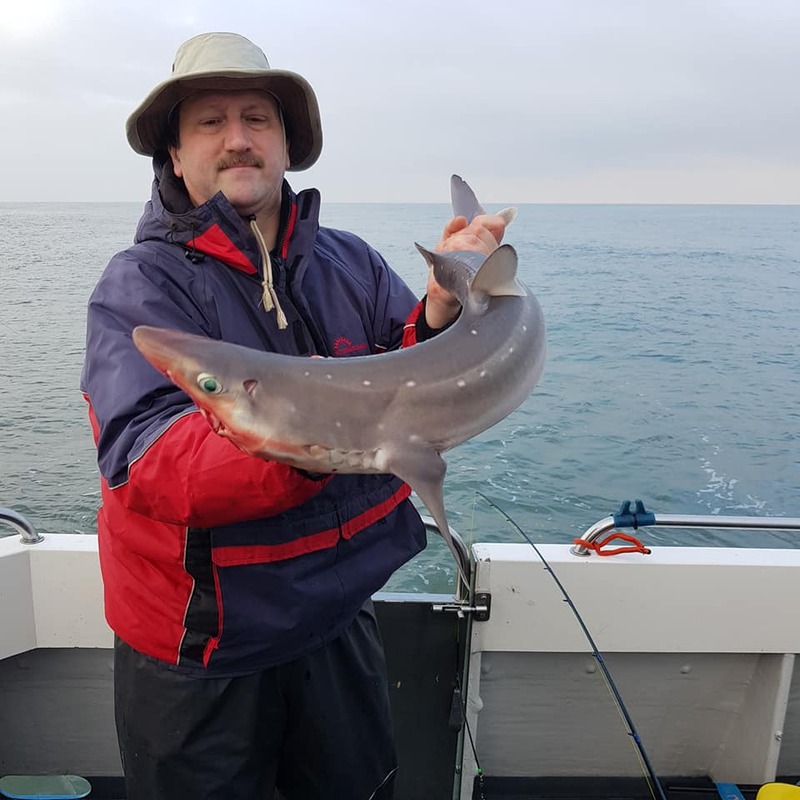 John Barbeary has taken Bluefin to deepwater marks off Ilfracombe where anglers have boated spurdog to 18lb and conger to 20lb. 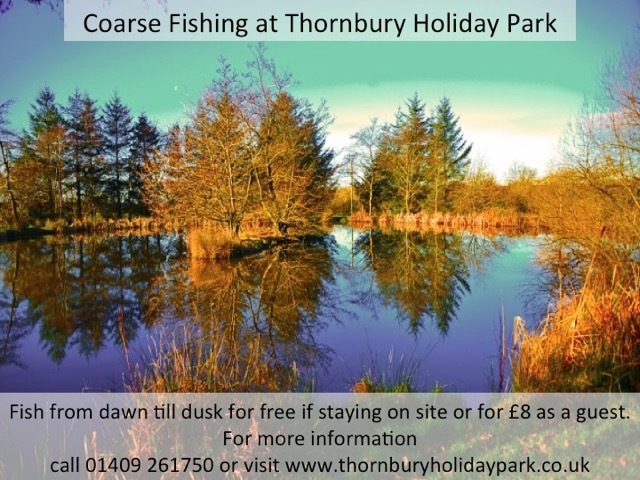 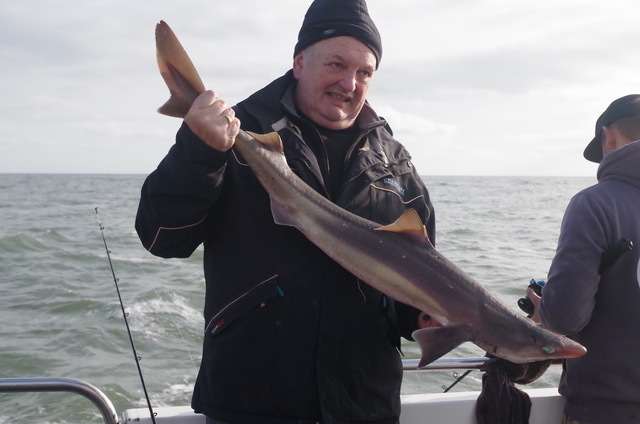 Keith Armishaw boated a 12lb thornback. 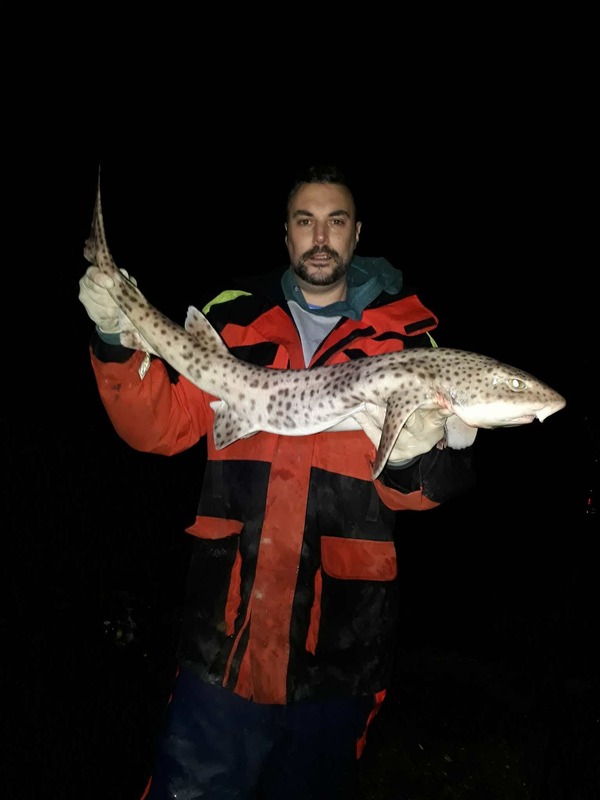 The spurdog packs are now starting to disperse and summer species will soon start to show. 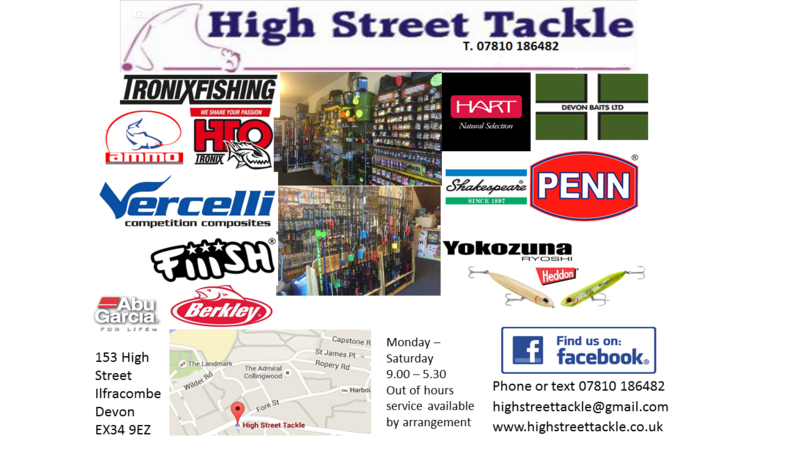 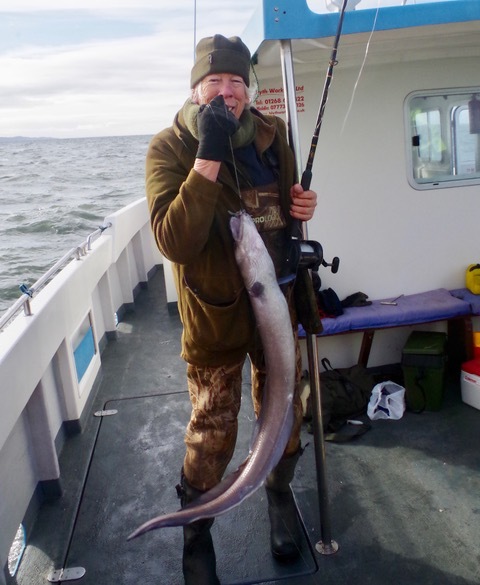 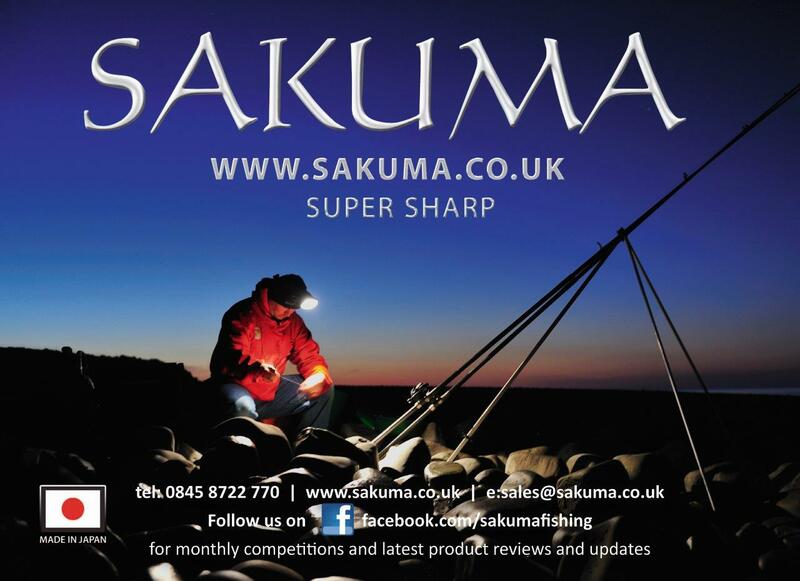 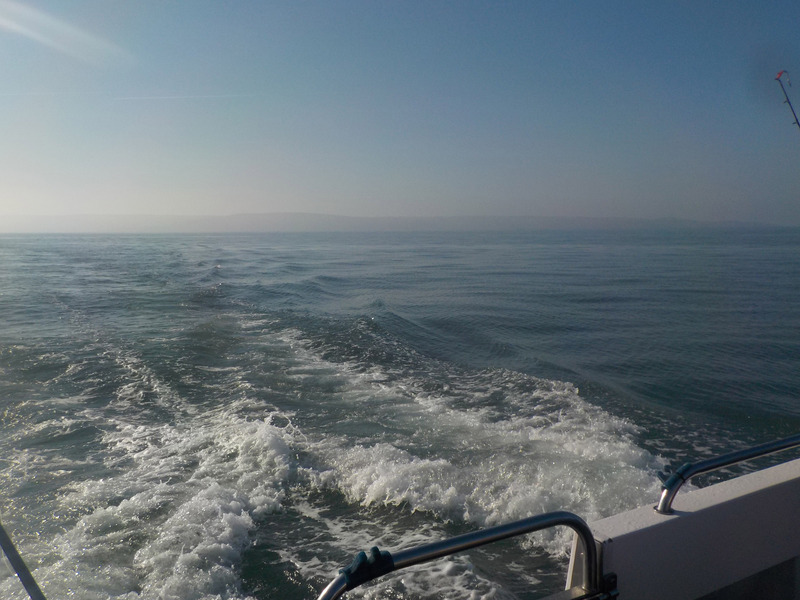 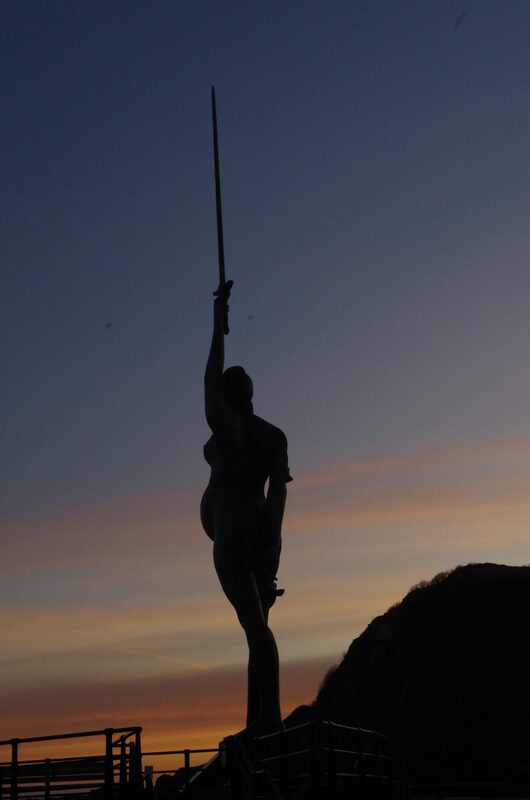 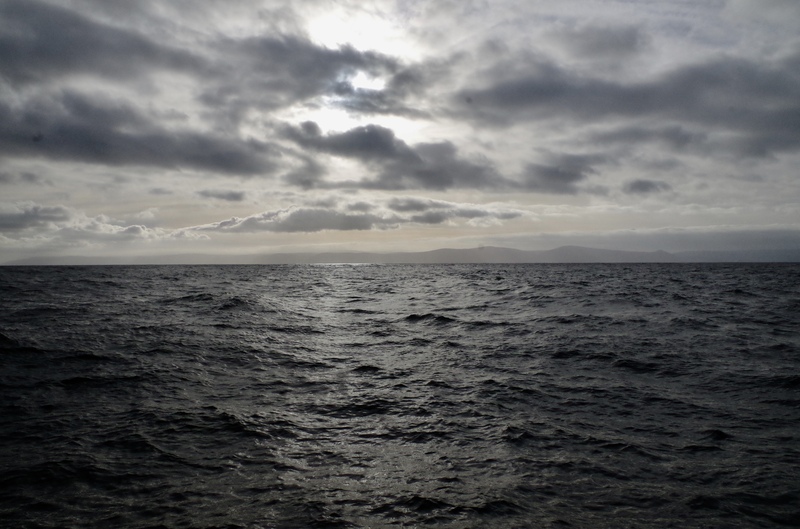 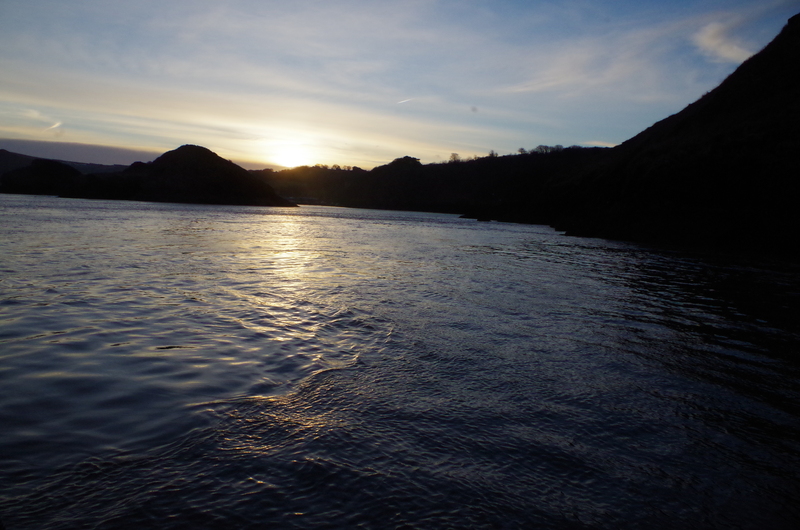 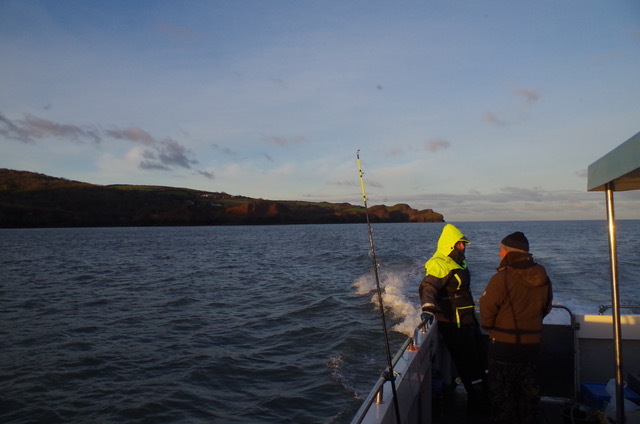 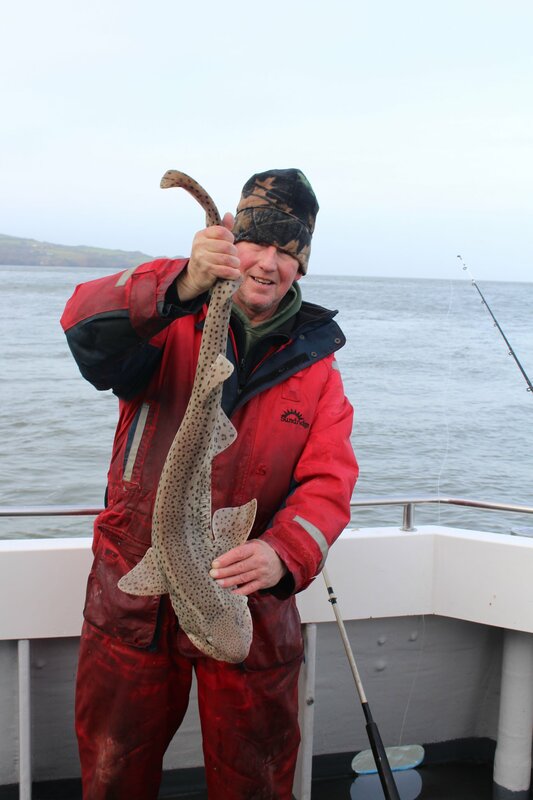 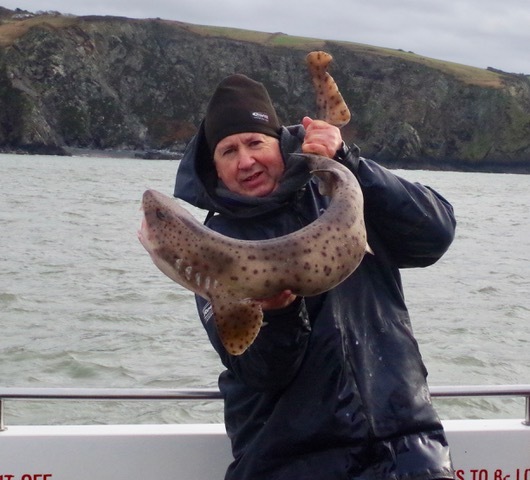 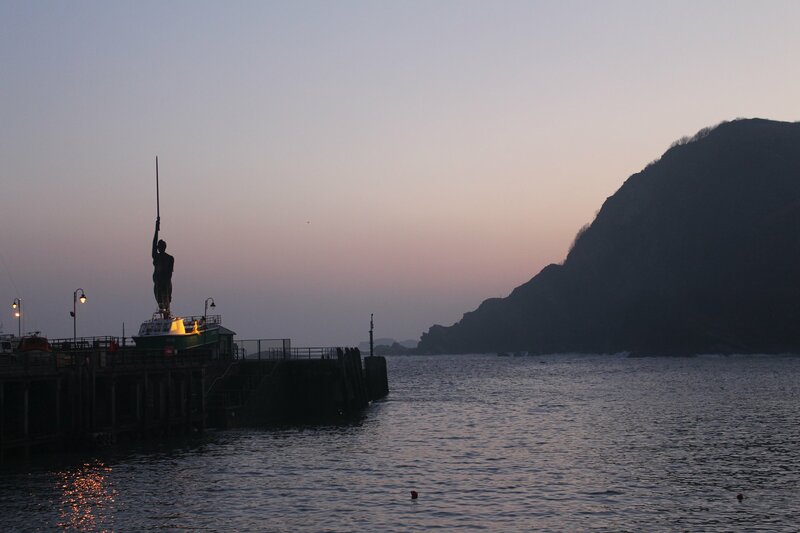 The calm seas and blues skies have certainly boosted spirits with spring on the way and hoped for mackerel and tope. 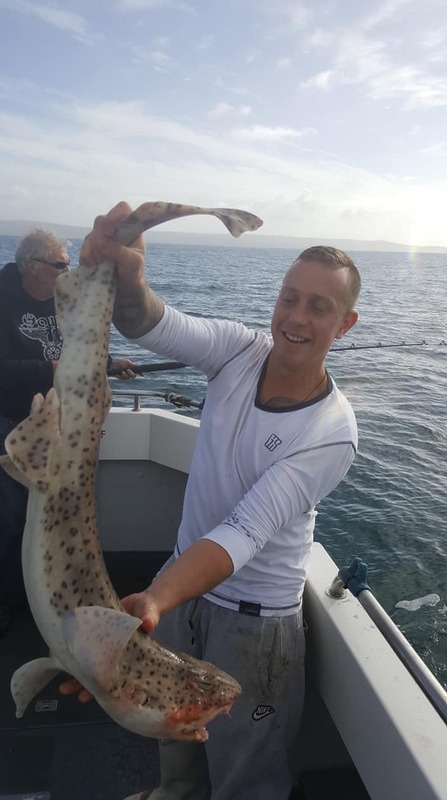 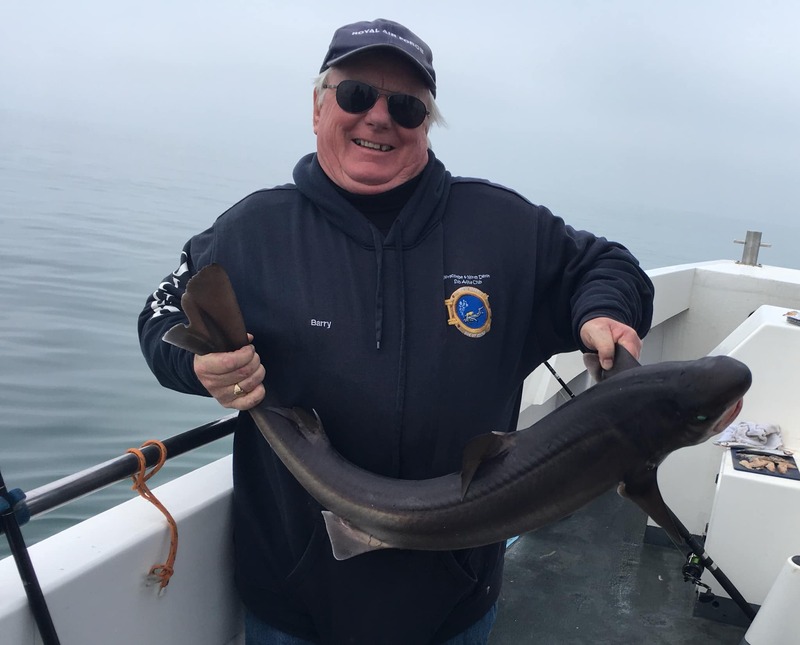 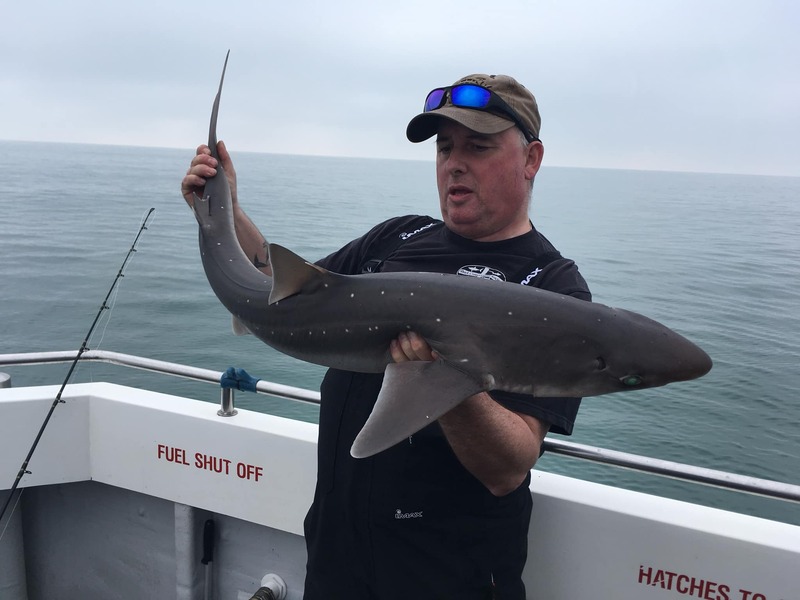 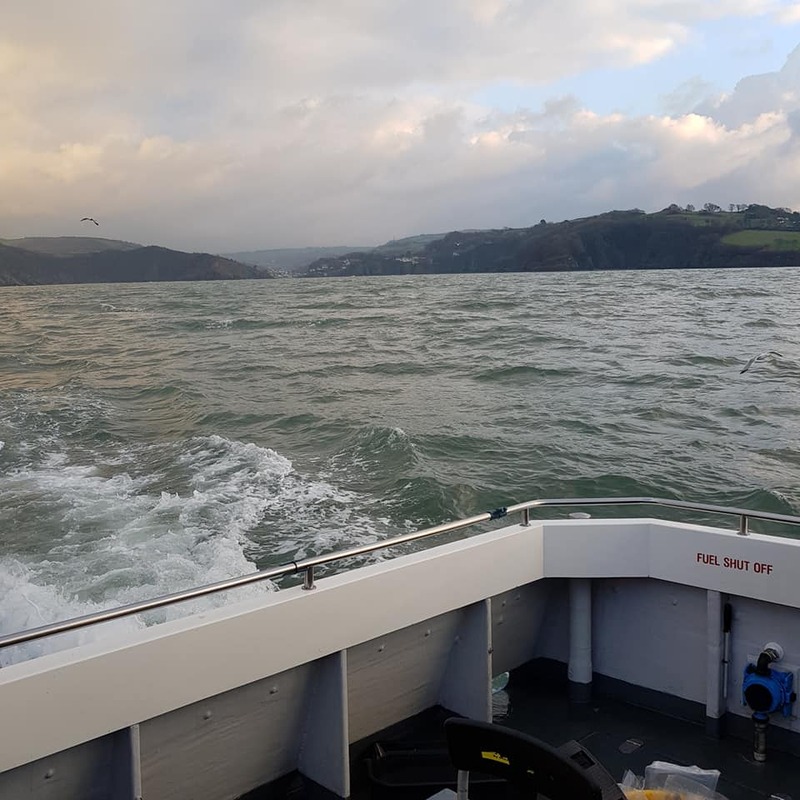 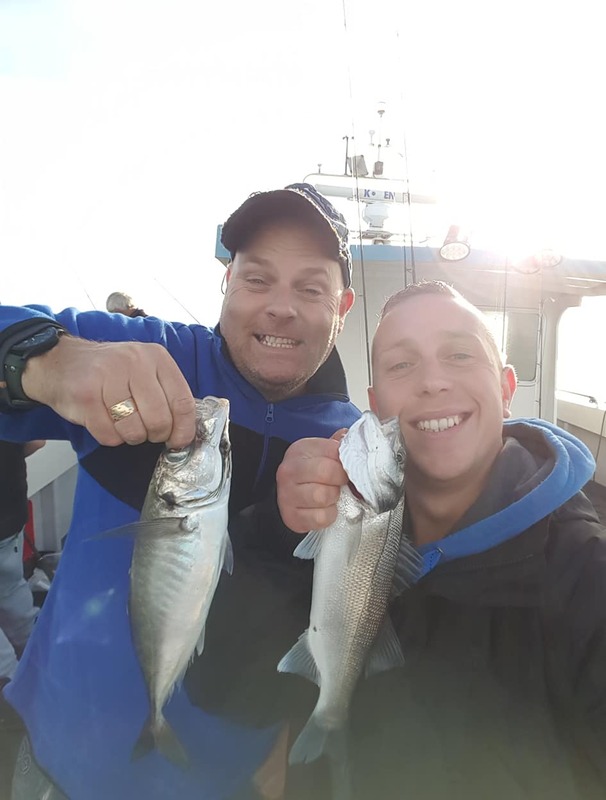 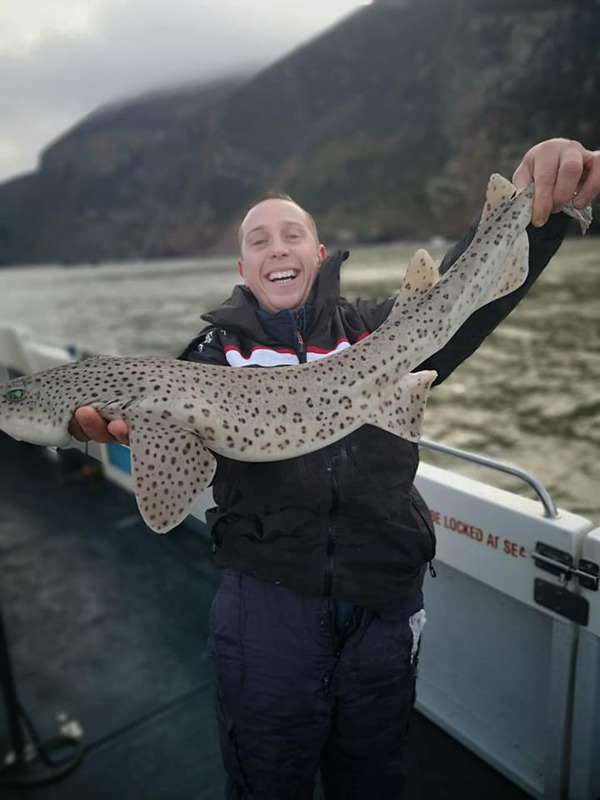 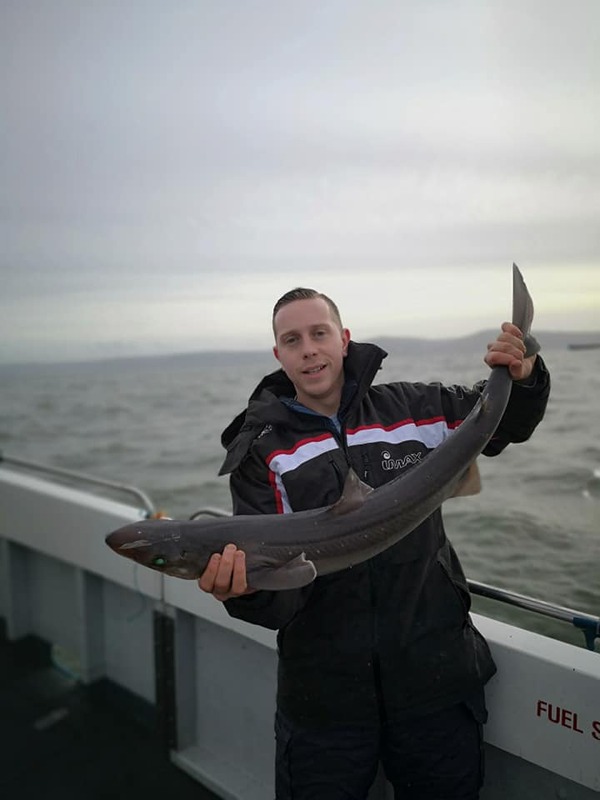 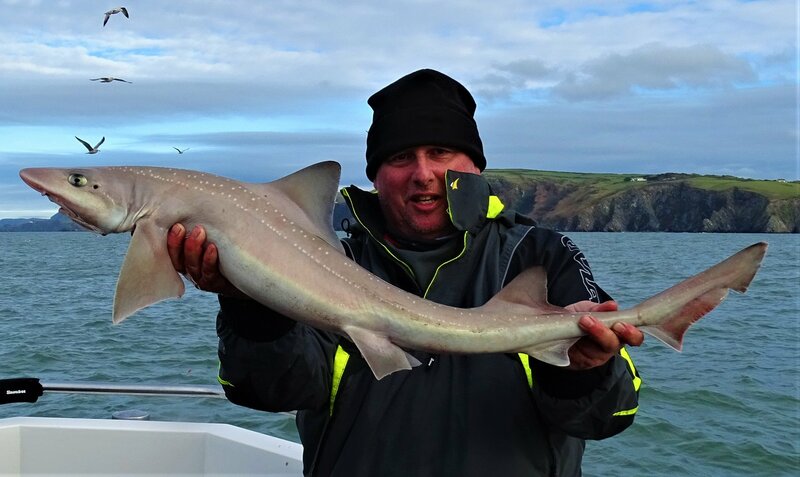 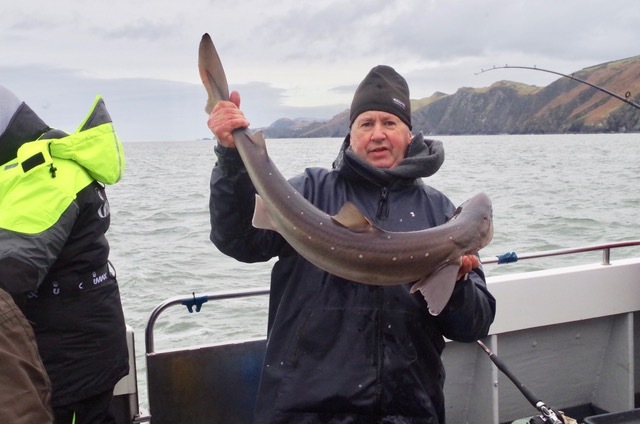 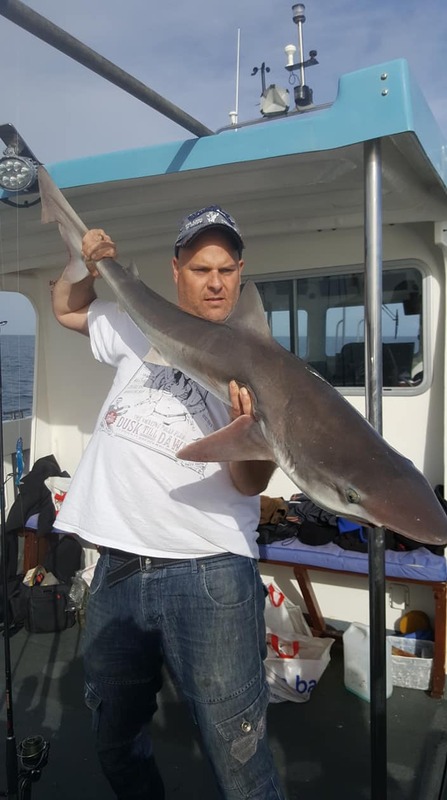 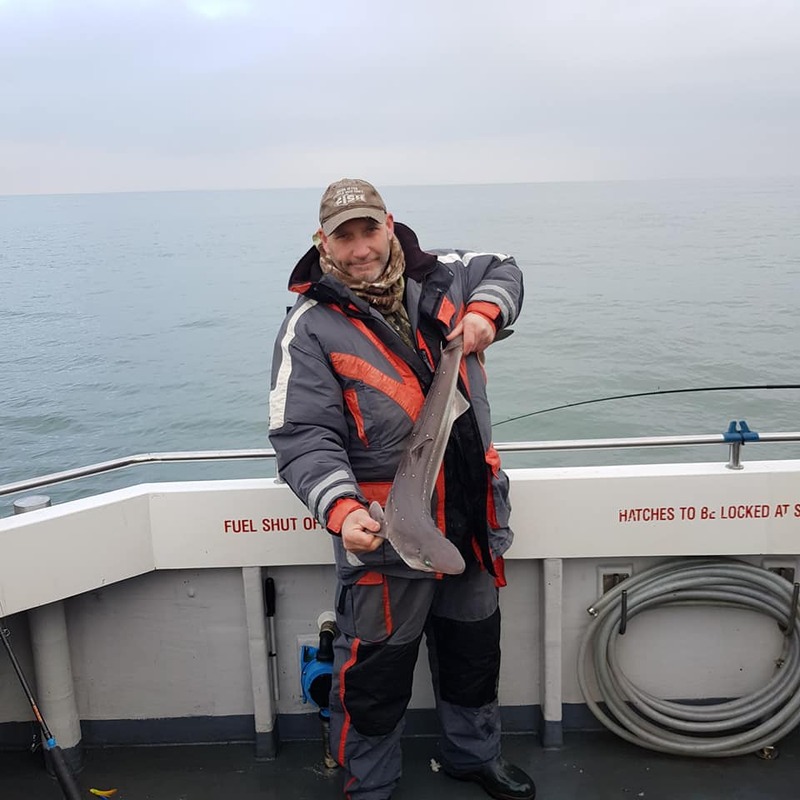 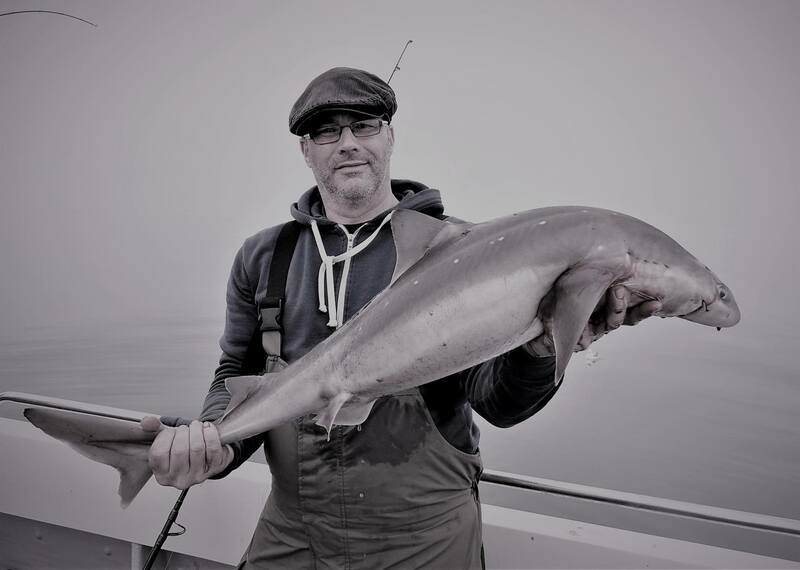 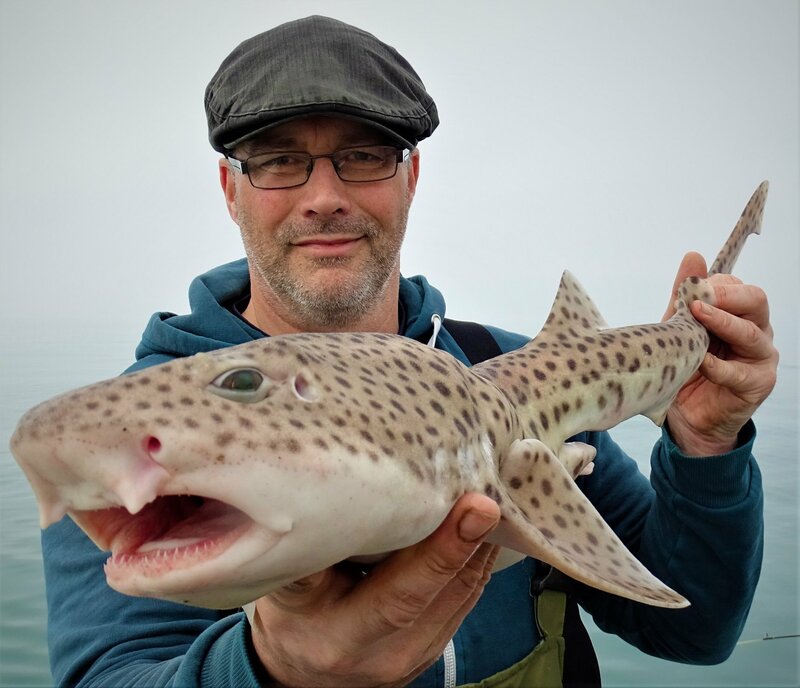 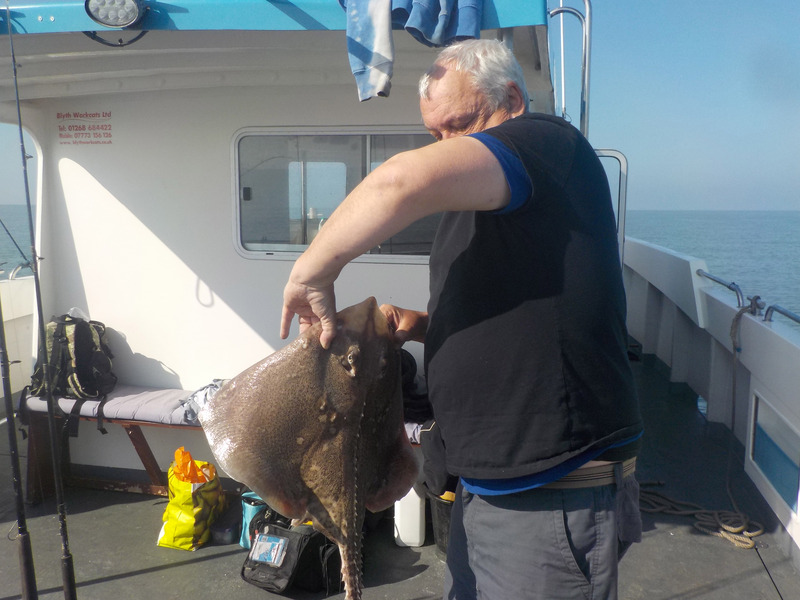 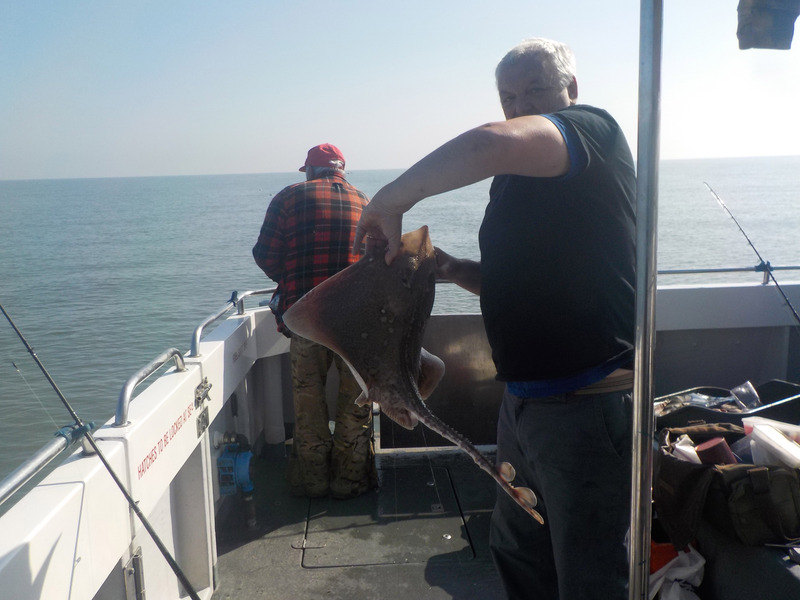 Exeter based angler Pete Gregory got up before dawn to the make a foggy trip to Ilfracombe where he boarded Bluefin to enjoy a fine days fishing landing specimen spurdog and a fine bull huss of 14lb. 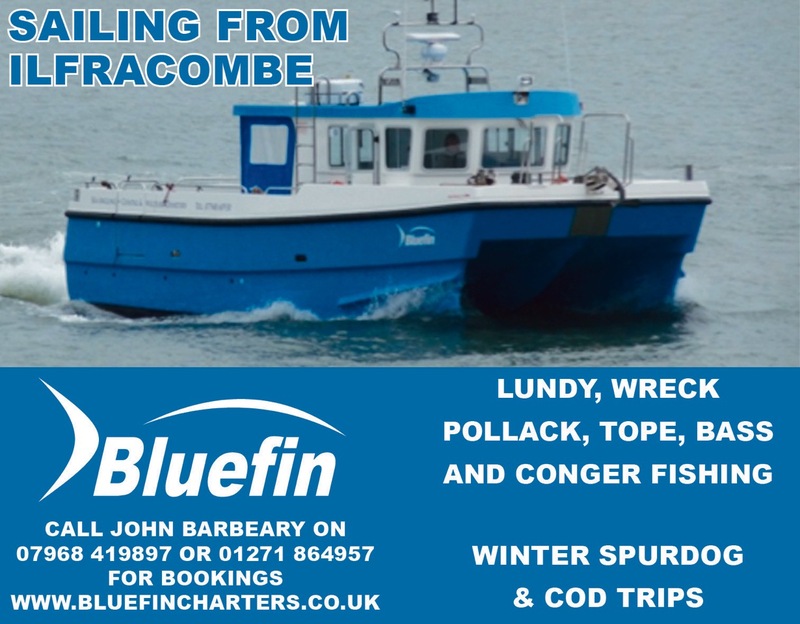 Toby Bassett enjoyed a beautiful day bobbing about on John Barbeary’s Bluefin with plenty of fish tempted throughout the day afloat. 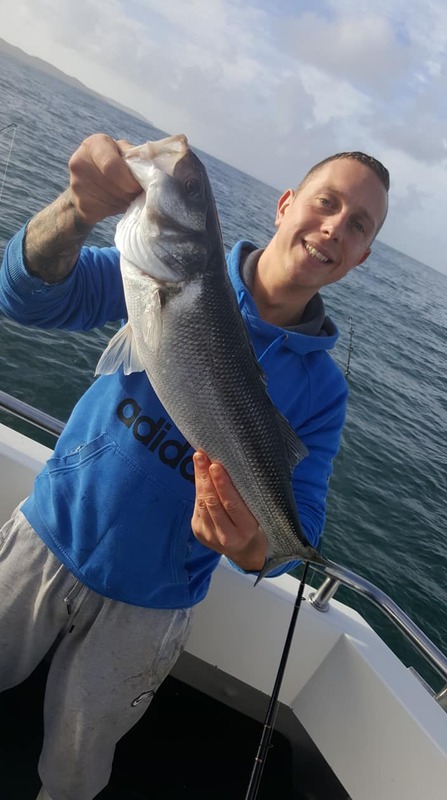 Several bass were tempted drifting over the reefs with the biggest around 5lb. 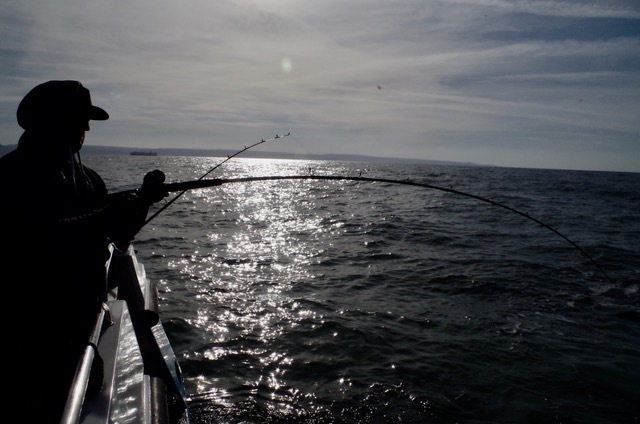 Anchoring brought sport with several tope to 30lb along with huss and the inevitable dogfish. 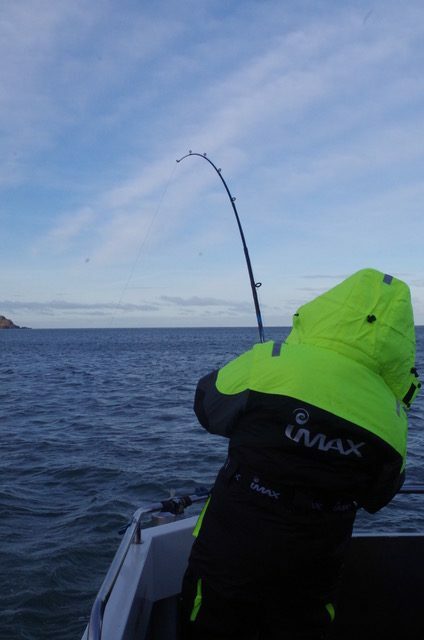 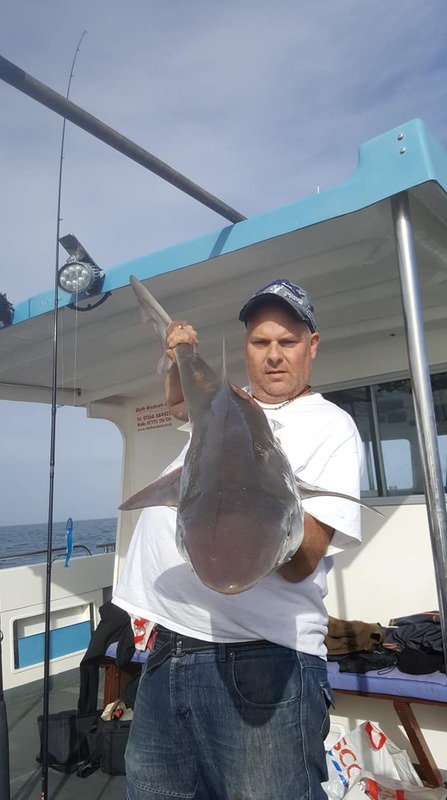 One angler hooked a large fish that came close to spooling him before dropping the bait. 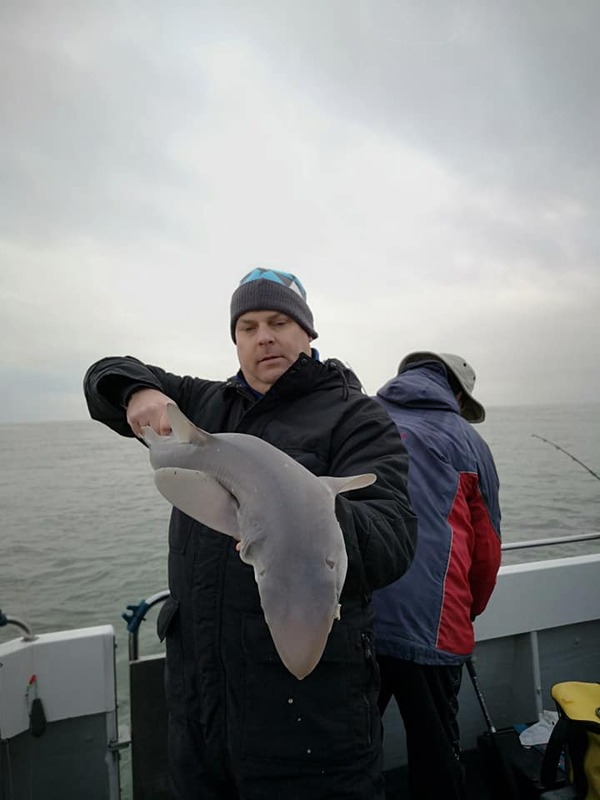 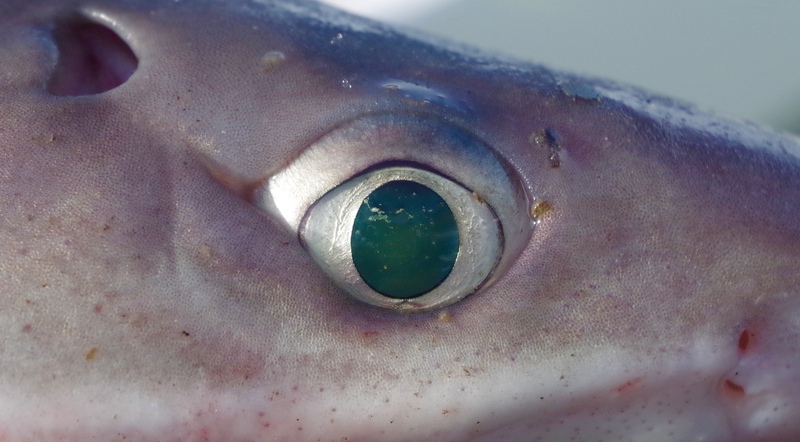 The guess was that it was shark? 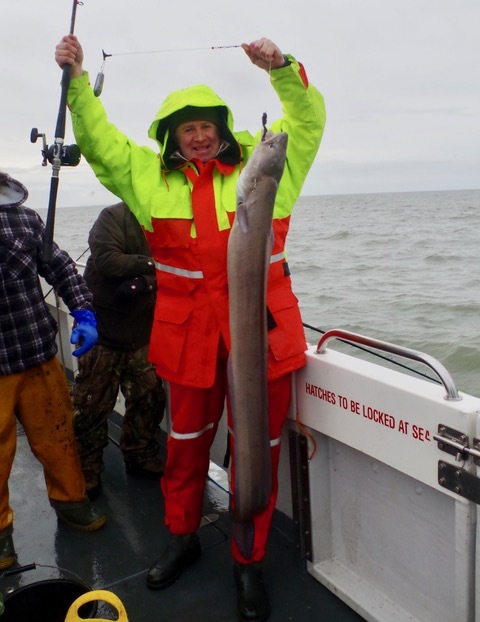 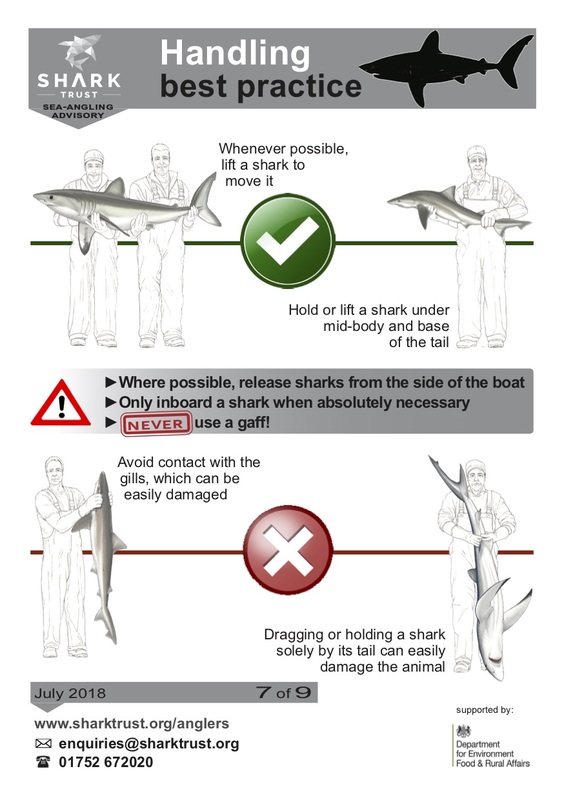 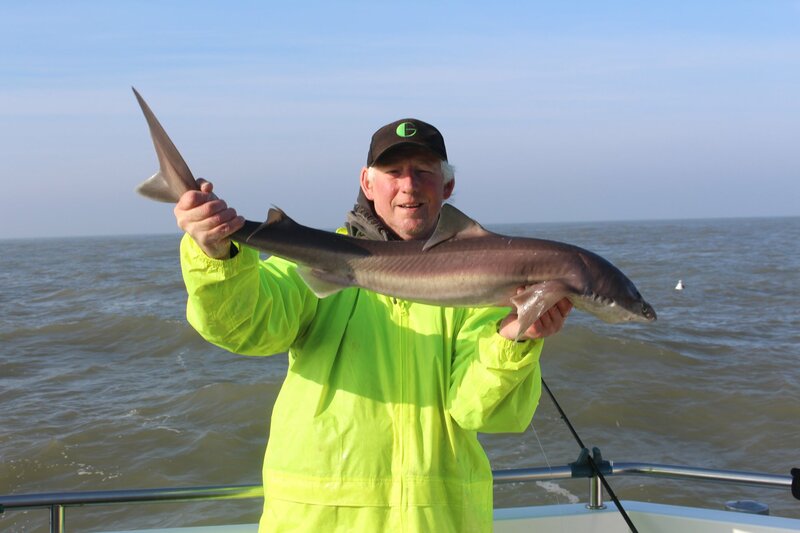 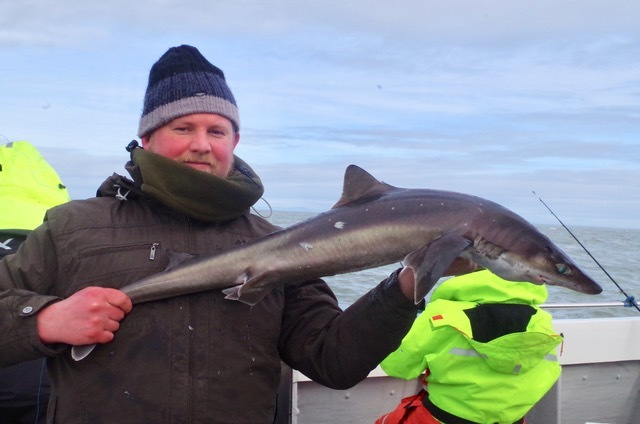 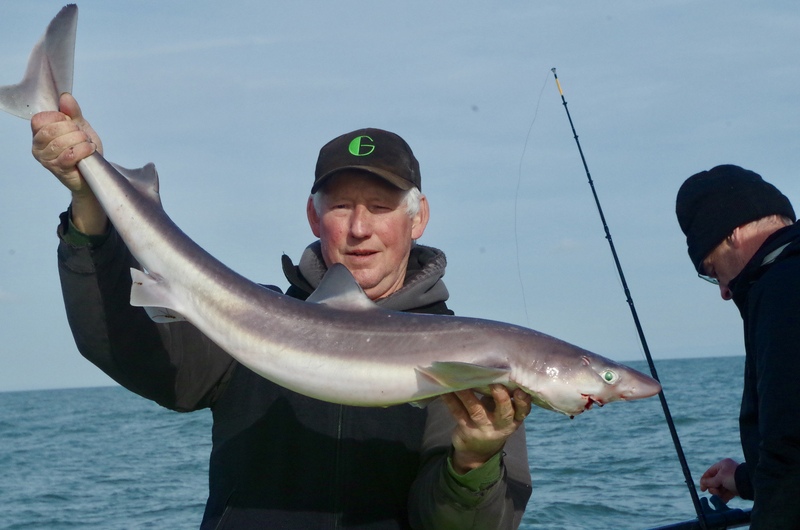 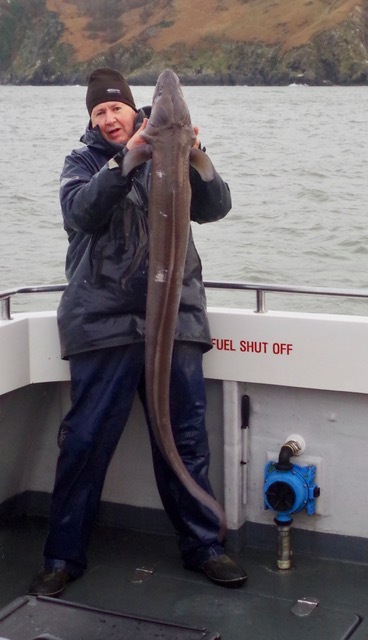 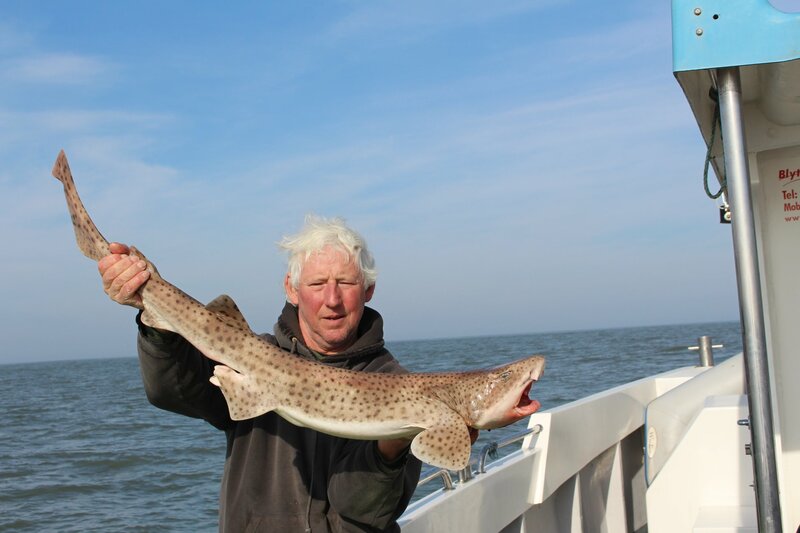 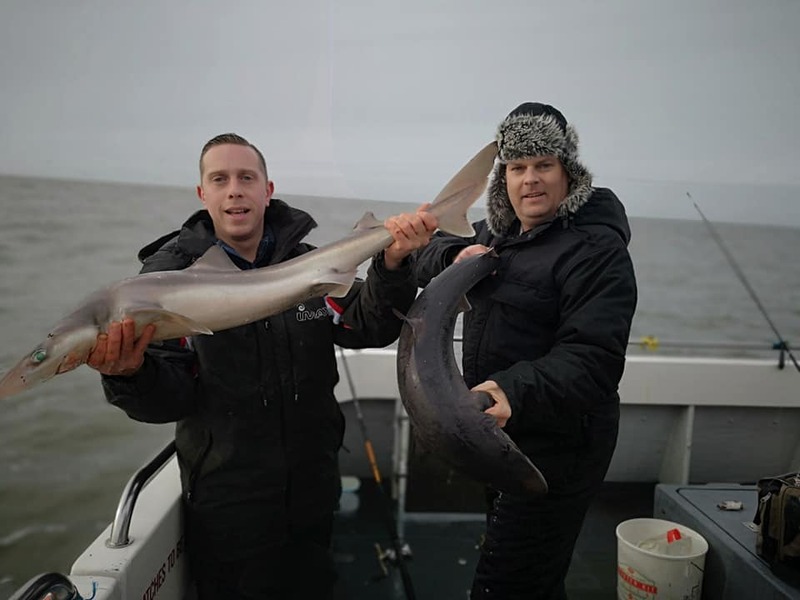 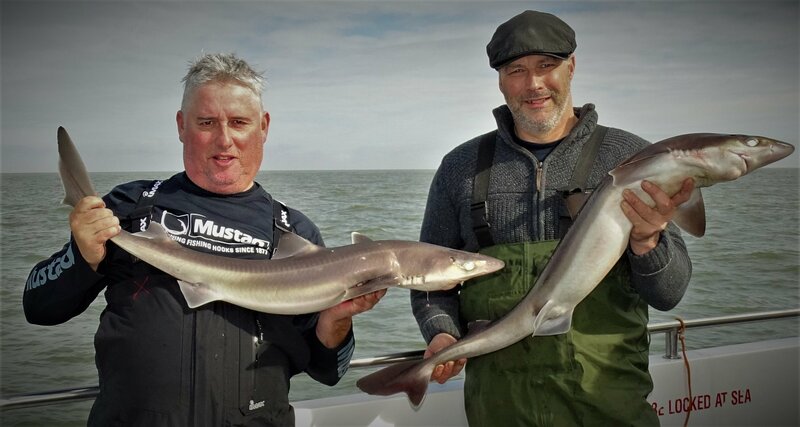 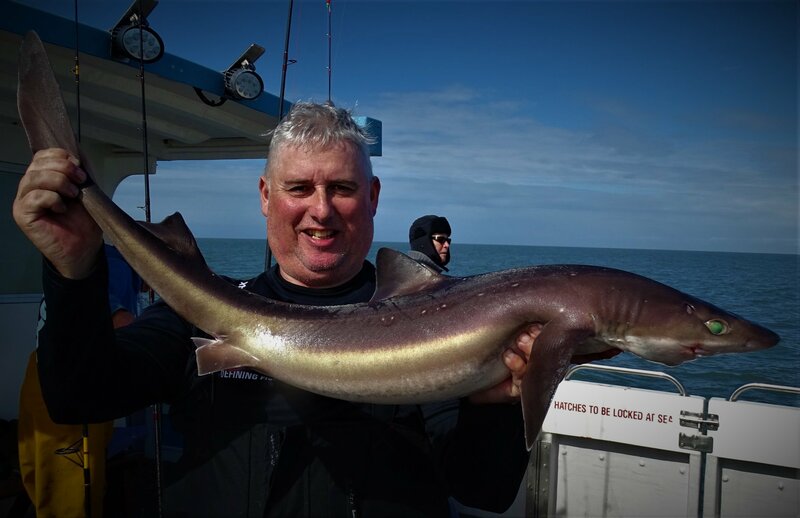 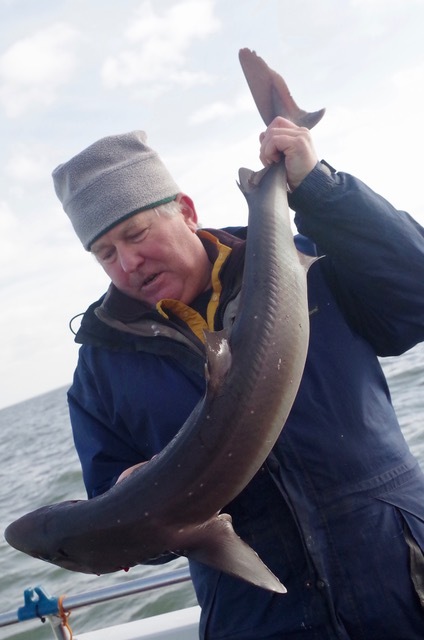 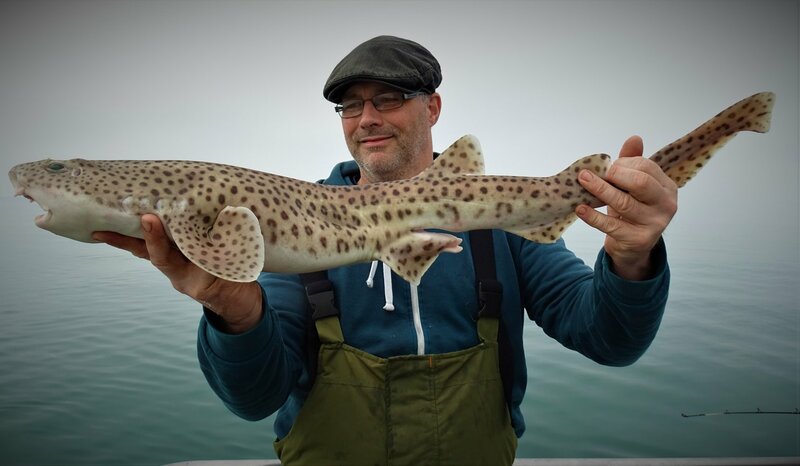 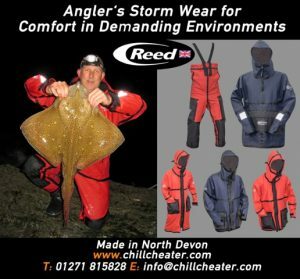 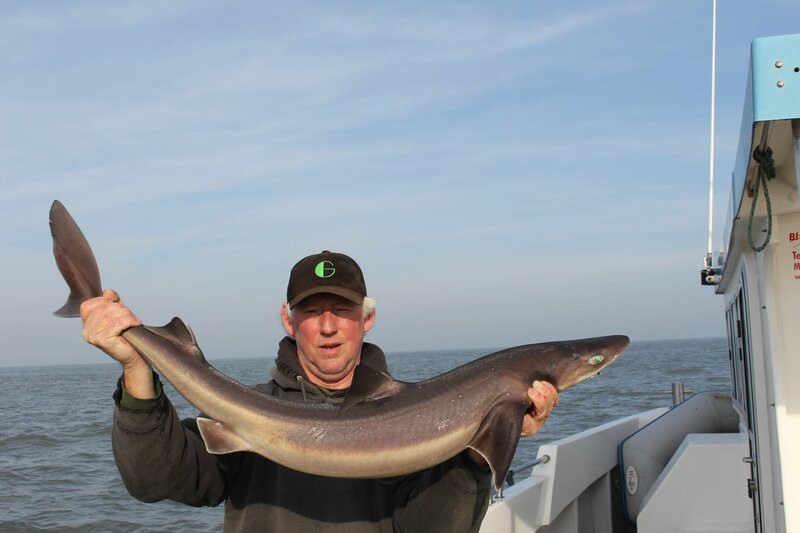 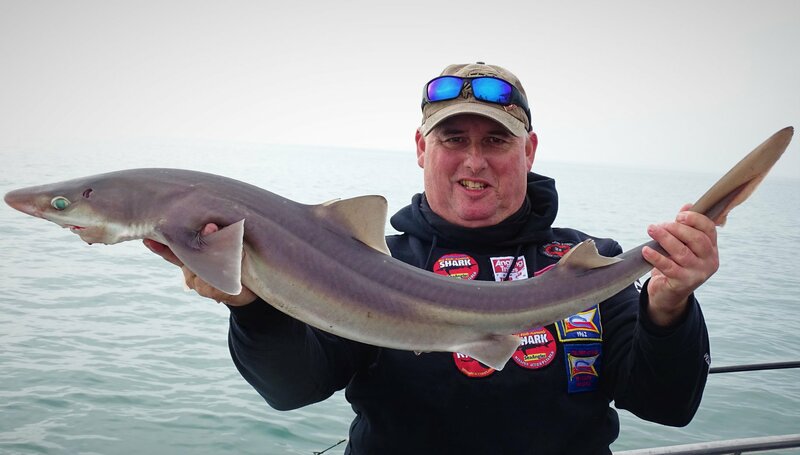 As winter approaches anglers will be looking forward to targetting the spurdog, huss and conger that prowl the mid channel marks giving some exciting and frantic sport when the weather permits access.